In a previous post I mentioned my challenge to get Butcher1 painted up during July. I have managed to paint everyday since then but I missed yesterday’s update with the previous night’s work. 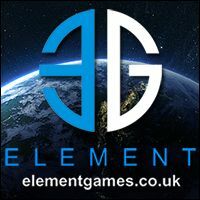 So I’ll kill two birds with one stone and post up two updates in one post while watching the F1 British Grand Prix. The gold trim was highlighted with P3 Brass Balls, and then P3 Radiant Platinum. I am not totally happy with the gold especially on the axe head so I’ll come back to that after getting more of the model done. The fur coat has been painted with P3 Bootstrap Leather, then P3 Beast Hide, and finally with P3 Menoth White Highlight. This was then given a wash of Army Painter Strong Tone. Boots have been painted with P3 Thamar Black mixed with P3 Battlefield Brown, then with a touch of P3 Trollblood Highlight. Trousers were painted with a mix of P3 Thamar Black and P3 Trollblood Highlight, progressively lighter mix. 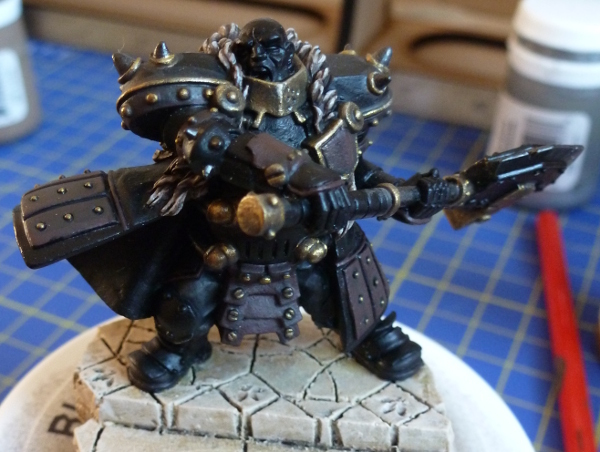 The coat got painted with mix of P3 Thamar Black and P3 Coal Black, this was then mixed with gradually increasing amounts of P3 Trollblood Highlight. Finally the red armour plates get a few layers. First layer was a mix of Foundry 102A Red Oxide Shade amd P3 Skorne Red, then just Skorne Red and finally Skorne Red mixed with P3 Khador Red Base. 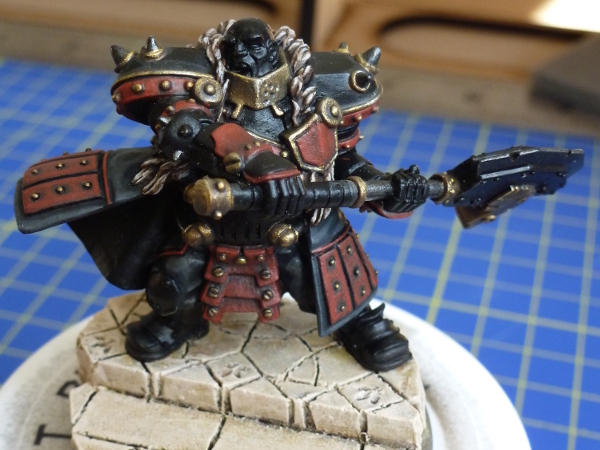 There was then just a couple of highlights added with pure Khador Red Base. There are a couple of areas where I am not 100% satisfied with the red, and I’ll go back and touch those up later. Front and rear pictures of Butcher1. Still haven’t decided about that axe head. Red or Black??? 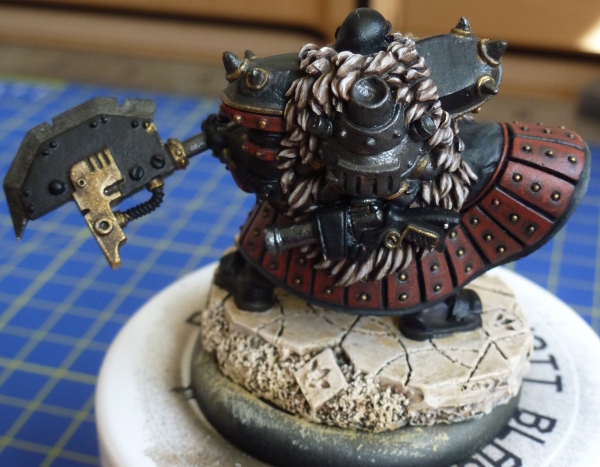 This entry was posted in Warmachine & Hordes, Work in progress and tagged Butcher1, challenge, club gaming, khador, paint the target, painting, painting work in progress, tale of 2014, warmachine. Bookmark the permalink. I really dig being able to see progress on this stuff. Stumbled across your blog after seeing your Iron Fang Pikemen. I actually think a red axe head might look good! I love the muted red you’ve got going on. Thanks jimb0, it’s something I have enjoyed seeing in other people’s blogs, being able to see their progress. So I thought I would try and do the same. I have to admit I am leaning towards a red axe head too.